Thinking in a future Close Combat Bloody First mod, I have been preparing new vehicle models in 3Dmax where I can add them in anygame easily. Probably sounds crazy but even I have thought sometime about a EAW WWII mod. There were a WWIII mod and probably a WWII was started but never finished. However, with the Close Combat Bloody First, it would be stupid. Just a mind. 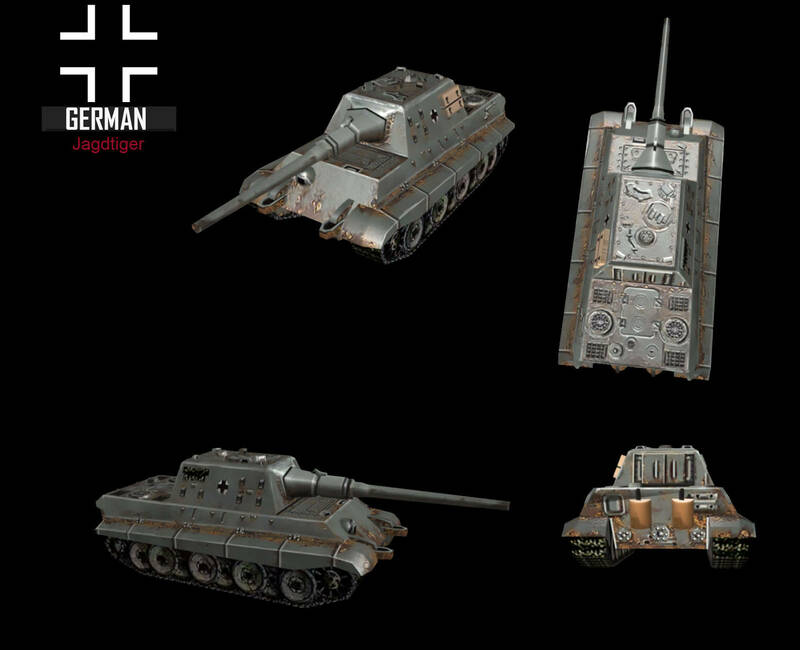 Another new 3D model, the JagdTiger. This is other from my favourite vehicles, I am mostly starting by them. Another 3D model. 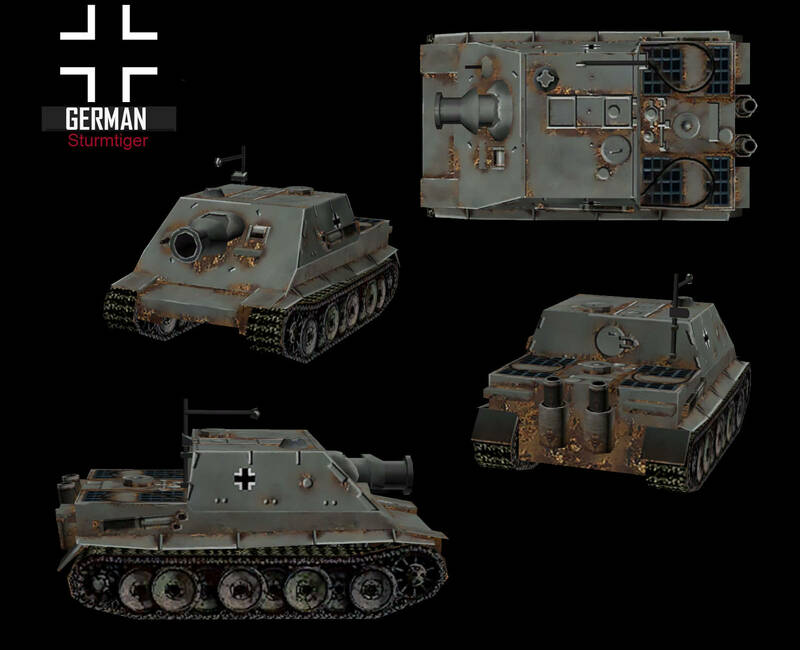 The Tiger I H. If I am not wrong, it has not seen in any CC mod or original game. Time now for the classic Tiger E.
Time for the Panther G.
The Marder III with russian gun.